The Lux Case Red OnePlus 6 consists of an impressive combination of high-quality craftsmanship, PU leather and a precise fit. The Lux Case Red OnePlus 6 is the latest design from London-based manufacturer Orzly, known for its high-quality phone accessories. This designer case consists of an impressive combination of high-quality craftsmanship, PU leather and a precise fit. With the Orzly Lux Case Red OnePlus 6 you are guaranteed perfect protection and good grip. An elegantly streamlined design with precise stitching to protect your OnePlus 6. 100% PU leather which ensures an elegant look and a quality feeling. 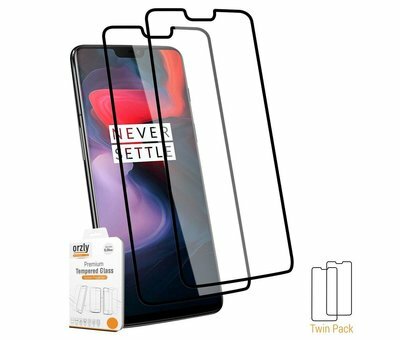 The Orzly Lux Case Red OnePlus 6 is lightweight and does not add any bulk. The outer structure increases the grip to give you a secure grip on your phone. The soft interior protects the OnePlus 6 against scratches, stains and dirt. In addition, all buttons, ports and sensors can be used perfectly, without compromising security.